Hi! I'm Aubree, but everyone calls me "Aubs". Thank you for stopping by my site. I'm 9 years old and I am the author of "B.O.S.S.Y - When BOLD, OUTSTANDING, SMART, SAVVY, and YOUNG Girls Unite". I just had an amazing book launch where so many came out and supported me as an author. It was one of the most exciting times of my whole life! And....I completely sold out of my 1st batch of books in 24 hours! I'm so thankful for everyone who came and those who couldn't come but wanted to. 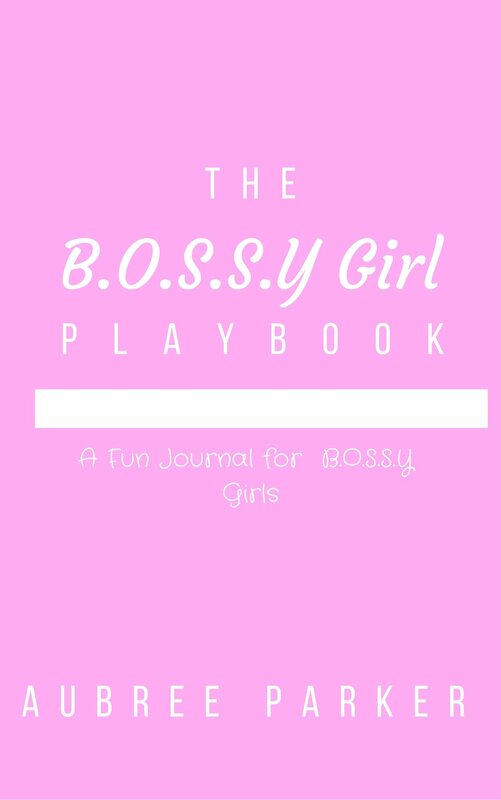 I'm also preparing to release a B.O.S.S.Y Girl Playbook that is a journal with fun questions just for girls who are leaders like me! It is designed by my mom and I. We wanted to help girls like me identify, improve and use their natural leadership skill. It's filled with fun questions and activities, which is why it's called a Playbook! It will be released on Aug 8th! You can order both books here! BOSSY Girl of the Week! BOSSY Work: Imagine hair barrettes that don't fall off or go missing. That's exactly what 10 year old (then 7 years old) Gabrielle (Gabby) Goodwin and her mother Rozalynn created! Barrettes for little girls have always been a staple in the African-American community and slippage has always been a problem for moms who used them, causing them to have to constantly purchase them. Like a true B.O.S.S.Y girl, Gabby identified a need and filled it with Gabby Bows. Her line of bows that do not fall off are currently sold in over 50 Once Upon a Child stores. She's selling her bows in over 8 countries. She's delved into speaking and writing, all while helping run her exploding business AND maintaining straight A's in school. For that, Gabby we crown you "B.O.S.S.Y" and salute you! Do you know a BOSSY Girl who you think should be featured as our BOSSY Girl of the Week here on our site? She doesn't have to be famous. She simply needs be making a positive change in herself, her peers, her community or the world. Submit a request for a BOSSY Girl feature at rosalyn@rosalynharris.com. It was a total SUCCESS! Click through the pics below and ENJOY!